The Venice Pier Amusement Park designed by Jeffrey Stanton for a architectural contest in 1988 won the Special Merit Award by the American Institute of America (AIA). The $35,000,000 project (1988 dollars) would recreate an entertainment complex on the original site of the old Abbot Kinney Pier at Windward Avenue in Venice, California. The site now occupied by the Venice Pavilion extends three blocks from 17th Street to Horizon and from Ocean Front Walk seaward to the rock breakwater that protected the old pier. This encompasses an area 750 feet wide by 1100 feet deep, or 825,000 square feet. While the majority of this area is solid beach, the seaward end over water is constructed as a concrete pier with wooden decking. 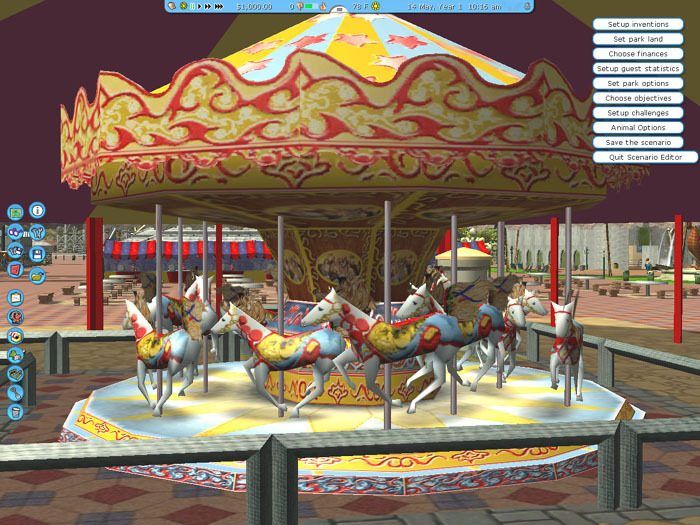 The amusement zone, which is family oriented, contains rides ranging from a thrilling twister roller coaster and high parachute jump, to tame kiddie rides for young children and a large carousel for the entire family. Terraced restaurants and cafeteria, overlooking the park's plazas, fountains and the Pacific Ocean, provide places for parents to catch their breaths while children wear themselves out on dozens od amusement rides. 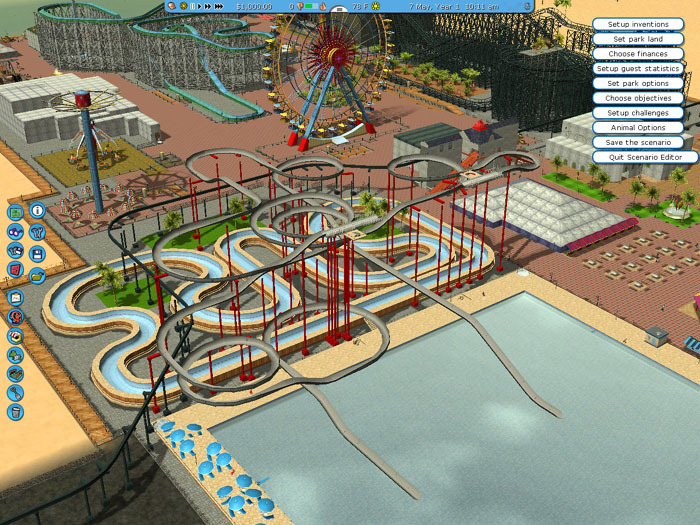 The adjacent water slide complex was designed for families who just want to complement their day on the beach. The park is serviced by a monorail system that connects to the large parking lots on the beach at Venice Boulevard and those along Venice Boulevard's median strip between Pacific Avenue and Lincoln Boulevard. Each of the Swiss designed trains can handle hundreds of passengers who disembark from its 200 foot long station at the entrance to the amusement zone. The building's arched arcaded look mirrors the Venetian architectural style of Windward Avenue but its towers have a Italian post-modern architectural look. 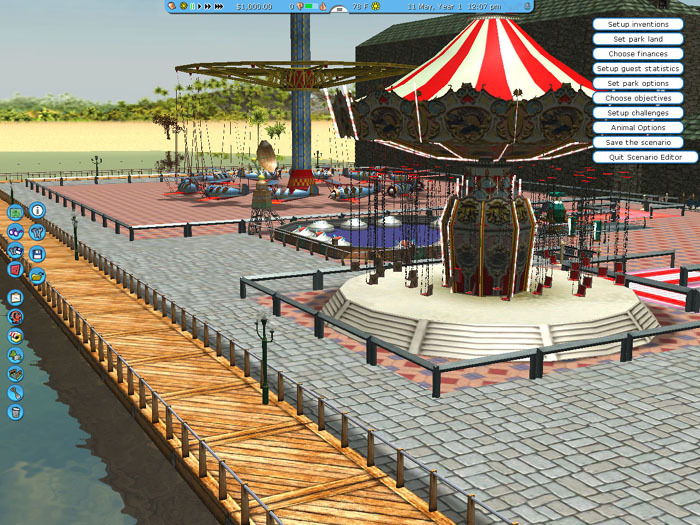 The mostly open ground between the towers provide a large entrance way onto the pier for visitors approaching the park from Ocean Front Walk. 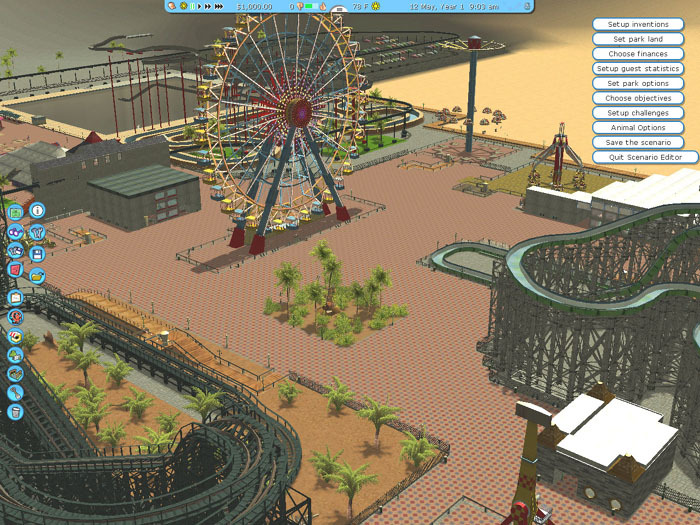 And at a latter date the monorail can be extended north along the beach to Santa Monica's beach front parking lots. The triangular shaped plaza between Ocean Front Walk and the amusement pier was designed as a gathering place for those sitting by the fountain, watching the animated clock, or listening to any of the many free entertainers that regularly perform along Ocean Front Walk. The circular building houses a four abreast Illions Supreme carousel, the finest carousel ever built in America. Its calliope band organ attracts children like a magnet. The crescent shaped building behind contains three terraced refreshment stands and a Visitor's History Center on the ground floor. 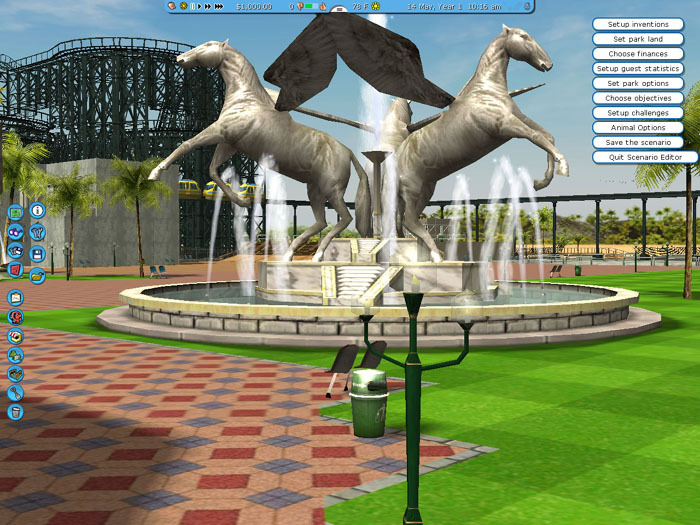 On the north end of the triangle is a bandstand area for teen dancing and other events such as beauty pageants. A free skateboard park adjacent to it contains ramps, a half pipe and shallow pool. 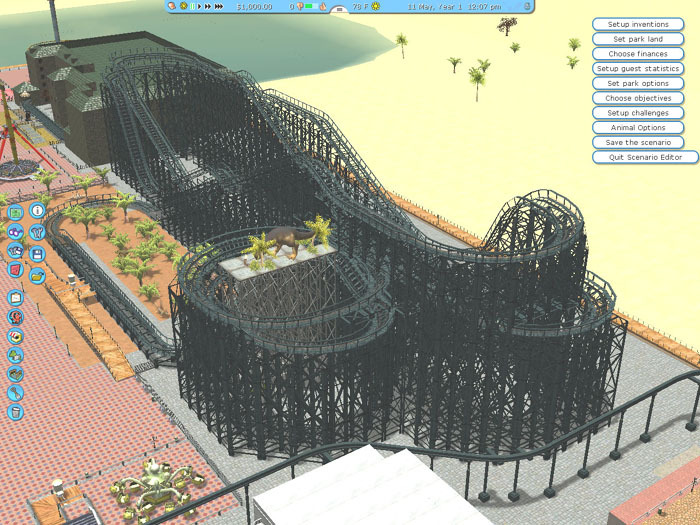 The amusement zone contains the finest custom designed rides on the west coast. The 115 foot high Tyrannosaurus Rex roller coaster is a twister coaster. Its very tight configuration has steeply banked turns, huge drops and a 720 degree helix spiral near the end that drops passengers going 60 MPH into a steeply banked tunnel for its grand finale. Its two and one half minutes of non-stop terror isn't made any easier with the sight of a huge growling dinosaur holding a car full of terrified passengers high above the helix. Other rides include a 200 foot high parachute jump with chair lift style seats, a log flume that serpentines above and thru a restaurant, an old fashion fun house, bumper cars, two airplane rides, swinging boat, octopus ride, triple Ferris wheel, and a dark ride based on horror movies such as Nightmare on Elm Street and Friday the Thirteenth. There is also an arcade and pavilion for games that features an overlook on its roof for bicyclists who use the elevated bike path. The complex also contains a theater that seats 1500 people. Its large stage can accommodate plays and it can easily double as a motion picture theater, Its high roof ceiling gives the theater favorable acoustics. Venice Beach is currently Los Angeles' second largest tourist attraction. Visitors come from throughout the world to see a funky mix of outdoor vending, people watching, bizarre live entertainment and of course the beach itself. 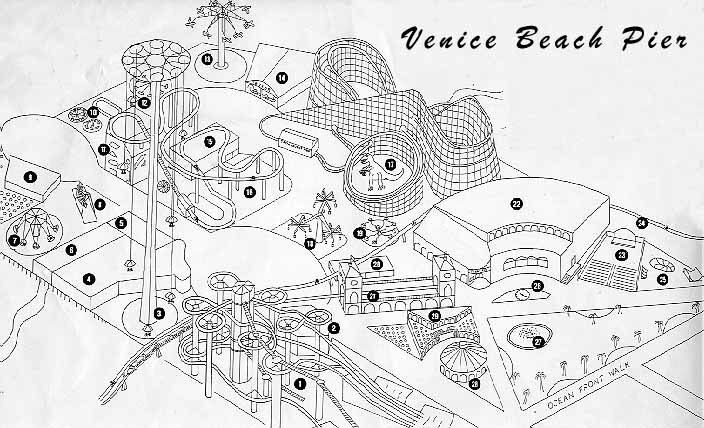 Venice has always been just a little different dating back to the years when it was known as the "Coney Island of the Pacific" and had several large amusement piers. It was the greatest resort in the west, the Disneyland of its day. 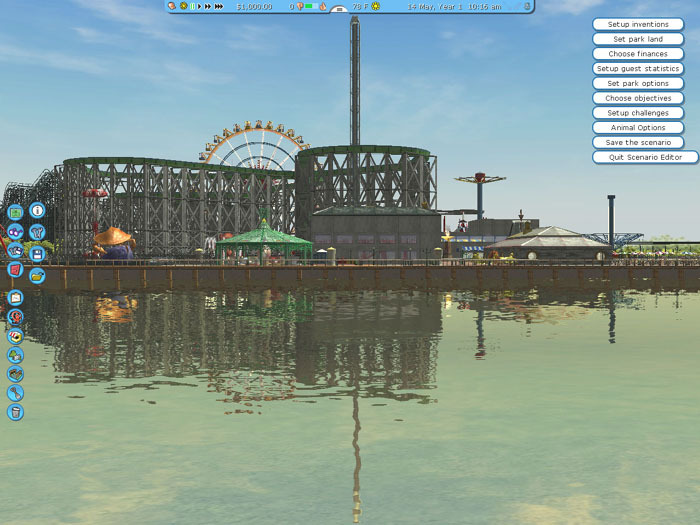 The Venice Pier Amusement Park has the potential to make Venice once again Los Angeles' finest tourist attraction. It is easy to find a developer, but it is much harder for a community to make a commitment. NOTE: The plan was summited to residents attending the workshops to develop a coastal town plan. People at the meeting told me frankly that "It would be built over my dead body." When a person who is widely disliked in the community presents a controversial plan to a community that opposses even the smallest change, the result is hopeless. 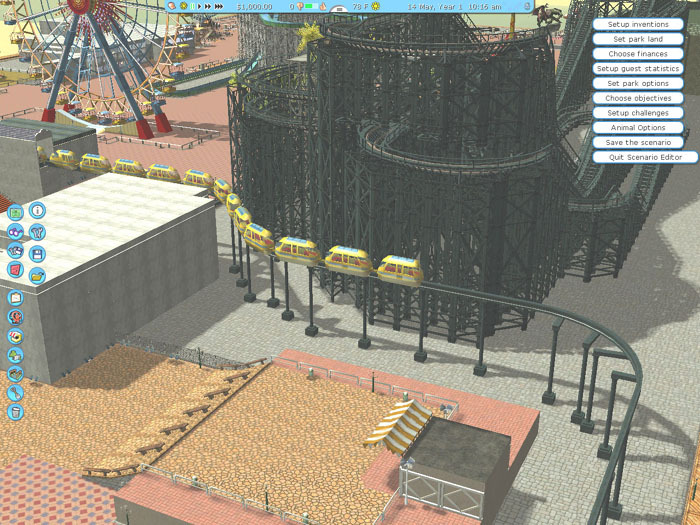 Six years ago Mark Sebar built a working 3-D model of my proposed amusement park pier using Roller Coaster Tycoon 3, an Atari program. 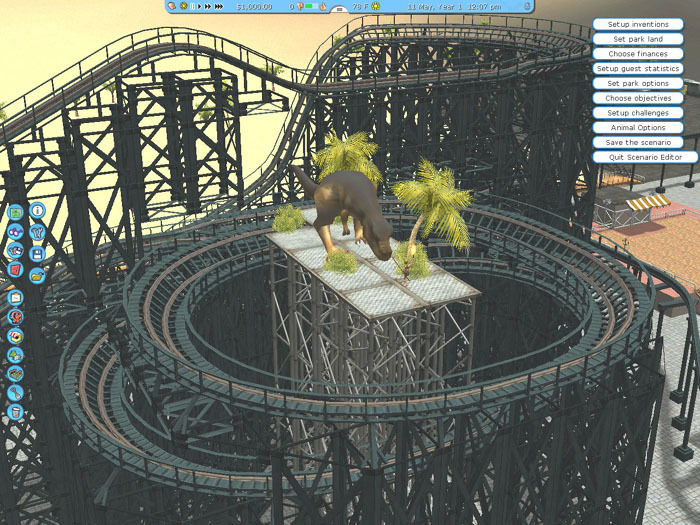 While it was a wonderful virtual expericnce to ride the roller coaster, parachute jump, water slides, and log flume as I envisioned them., there are many limitations to the design program. 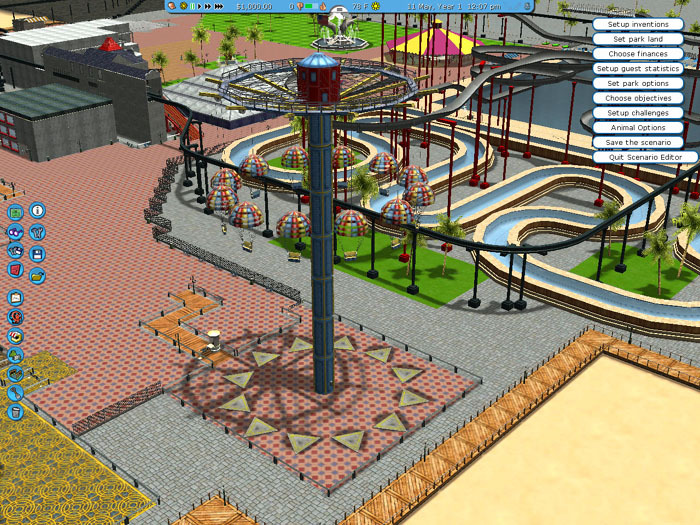 First it renenders premade rides, except roller coasters and log flumes, and water parks. 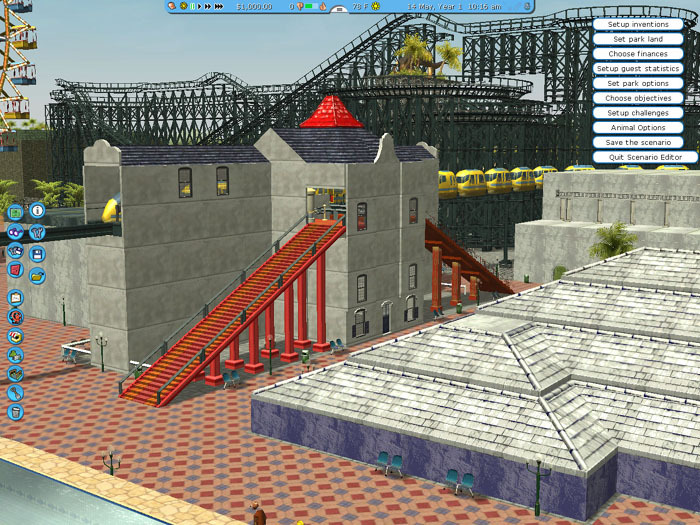 Buildings are the most difficult to render, especially curved building like my theater, and my monorail became a people mover with the program. 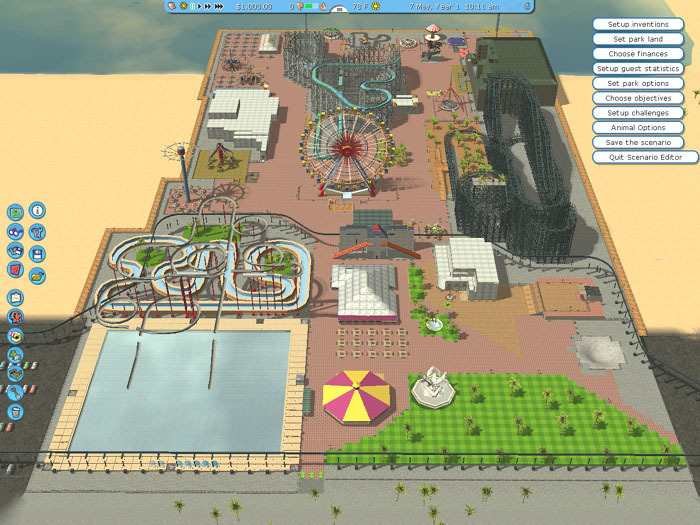 Still the following snapshots during the simulation will give the viewer an idea what I had in mind when I designed Venice's future amusement pier. 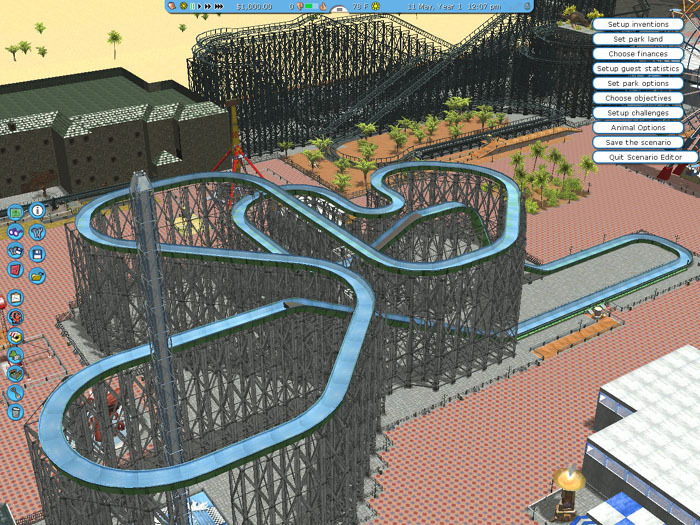 Venice Future Pier- Closup of Tyramsaurus Rex coaster's double helix and dinosaur. Venice Future Pier - Swing ride and Aeroplane ride. 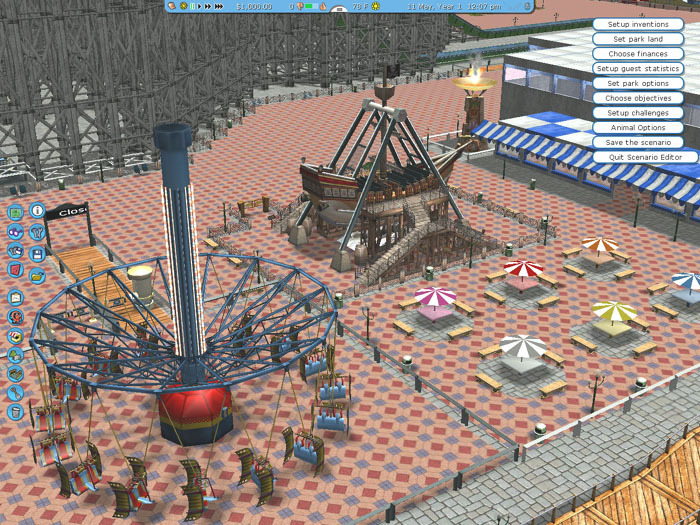 Venice Future Pier - Big Wheel near the roller coaster and log flume. Venice Future Pier - View of pier's seaward end from ocean.